This is a smart yet glamorous way to say you love your dear ones. Add a bit of pleasure in their lives with this fabulous combo from Ferns N Petals. 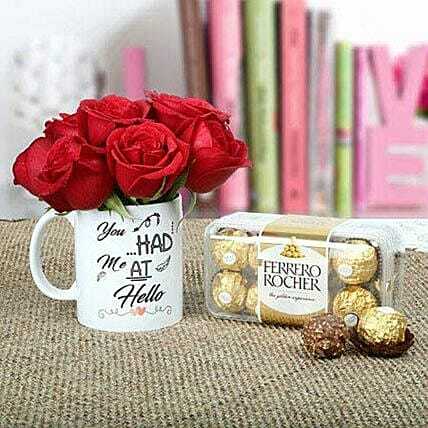 It contains a white coffee mug arrangement of red roses and ferrero rocher chocolates.